*UPDATE (09/01/2017) - Registration is closed. We are VERY sorry for those of you who did not get onto a team this fall season. Unfortunatly, we are restricted on the number of players/teams we can have per age group by the number of fields we have available. Please, rememebr this when Spring registration comes along... REGISTER EARLY! *UPDATE (08/20/2017) - There ARE multiple divisions with a wait-list. We are very sorry for this, but due to space limitations we have limited availability. If you registered and were placed on a waiting list, you will be notified PRIOR to try-outs if you have a spot or not. *UPDATE (8/13/2017) - Please remember, we WILL have divisions/age groups which will be maxed out and closed before registration ends. When this occurs, you will be placed on a waiting list. If you filled out the entire registration, but did not pay, then you are NOT registered and subject to the waiting list if your age group fills up. 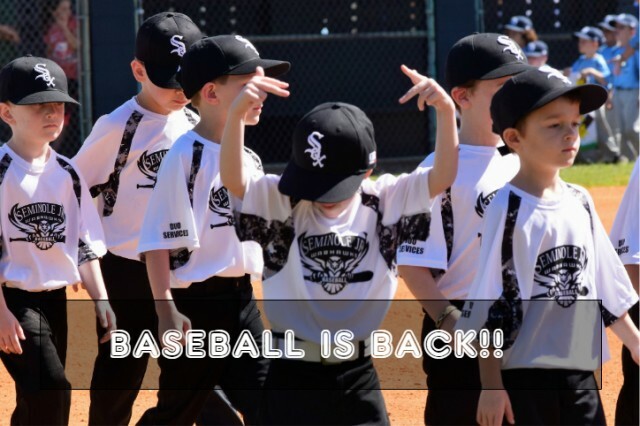 The fall season is a blend of instruction and competition, perfect for those players wanting to further their skills as well as those who are just beginning to learn Americas pastime. Come be a part of the winning tradition with Seminole Jr Warhawk Baseball. ​Please arrive 30 minutes prior to the scheduled start time to warm up. ​Once the try-outs are complete, the teams will be drafted by the end of that week and you will be contacted by your Manager by the weekend, which should be no later than September 3rd. Practices will begin the week of September 4th. Manager registration closes Aug 22nd, this includes background checks. Remember these checks can at times take up to a week, do not wait until the last second to register! Click HERE to register online right now. In-person registration is available on Saturday 8/5, 8/12 and 8/19 from 10am until noon.. Players registered online but choosing to pay via check or cash must come to one of the in-person registration dates to finalize their registration. Open practices will be held on Saturday 8/5, 8/12 and 8/19 from 10am until around noon. These practices are open for any players (registered or not, returning or new, any!) who are league age 7 thru 15. League age for fall ball is determined by the players age on May 1, 2018. Yes, 2018. For example, if your child is 8 years old right now, but their birthday is between now and May 1st and thus will be 9 on May 1 2018 then their league age is 9. Play ups/downs. Seminole Jr Warhawks take fairness and parity as a whole very serious, and have strict rules regarding players playing in a division other than their age group. Play Up. If you feel your child is capable to play in a division older than their age, you may register them as such. Understand, if the league determines at tryouts that this is not in the players and leagues best interest we will have discussion with the parents. Play Down. If you feel your child is not ready to play with their own age group, for whatever reason, you must contact the board and attain PRIOR approval to do so. This league is committed to providing our participants and their families the very best educational sports experience possible while teaching skills, mental and physical development, a respect for the rules of the game, and basic ideals of sportsmanship and fair play. If you have any questions please come out to the open practices detailed above. Its a great opportunity to meet other parents, coaches and board members and get any answers you may be looking for.